Maple Butcher Block Desk Table Top | 30" x 72" x 1.5"
Availability: Non-stock item. Ordered from vendor upon purchase. PLEASE CONTACT US FOR FREIGHT QUOTE. Unfinished Michigan Maple Block Countertop with square edge. Emmets Good Stuff is an easy-to-use urethane gel for raw or unfinished wood surfaces. Formulated with fast drying synthetic oils, Good Stuff is designed to enhance the natural beauty of wood while offering an outstanding protective finish that is resistant to moisture, stains and most solvents. 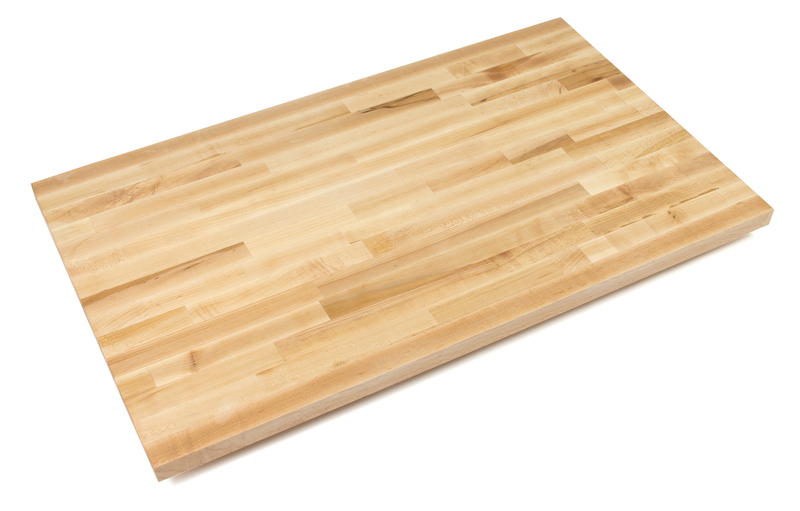 Perfect for finishing or refinishing butcher block islands and countertops, cabinetry-even wood cooking utensils and salad bowls.